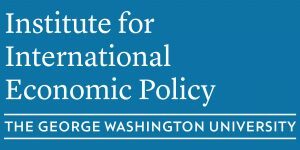 The Institute for International Economic Policy (IIEP) offers online economics programs designed specifically for entering Elliott School students. These online programs will help students prepare for required economics coursework though no academic credit is offered. Elliott School students can use IIEP’s Online Economics Principles Programs to satisfy economics prerequisites. The programs include an introductory microeconomics, introductory macroeconomics and combined micro- and macroeconomics principles course. These programs have graded homework, quizzes, and instructor office hours. Please click here for more information. These self-guided and self-paced programs provide Elliott School students with a structured review of necessary economics tools and terminology. The Online Economics Review Programs are not appropriate for those who have not taken economics previously. Please click here for more information. ECONOMICS ASSESMENTS: All entering students who have satisfied their economics prerequisites through previous coursework must take this free assessment by June 1. Completion of this assessment will help students plan their review of economics before classes begin. Please click here for more information. The assessment results will NOT affect a student’s admission status. The assessment is designed to provide an accurate analysis of students’ **current** preparation for Elliott School economics coursework. (This is distinct from satisfying formal prerequisites for the program.) The results will allow IIEP faculty provide students with an individualized recommendation for how to prepare for Elliott School coursework.